We loved our stay. It was in a great area with lots of supermarkets and eateries. The apartment was bigger than I expected and comfortable. It was in a nice area close to the metro and some tourist attractions. The kitchen was clean and well equipped. It had everything a family needed - laundry facilities, a well equipped kitchen and a good bathroom with drying rails. The staff are professional and very friendly. Thanks to Anne and all her colleagues at the front desk. My stay with my mom were prefect. The only thing from thist is the location. It's not far from la place de la republic. I Also like the security of the apart'hotel. The bed was a dream to sleep in! A quiet, comfortable and clean stay. Staff extremely polite and helpful. this is a awesome property, very very well kept up. also the staff speaks English. thank you. private garage and parking, private balcony with chairs, plenty of outside seating. super comfy huge bed. flowers, trees, grass. yep someone spent some money upgrading this place. 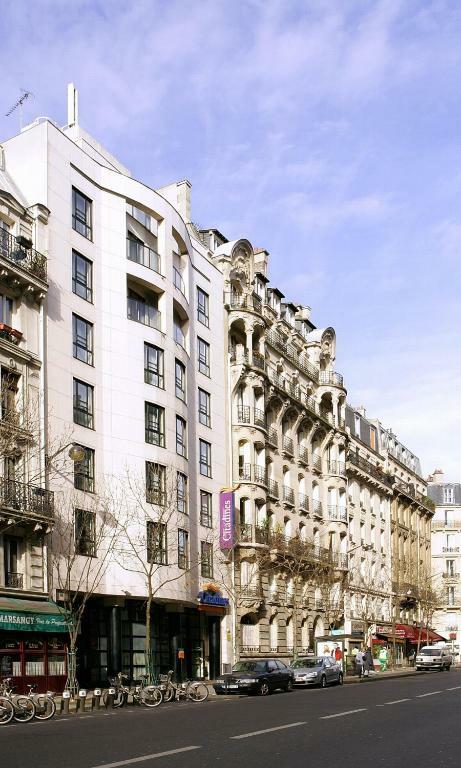 Just a 2-minute walk from Parmentier Metro Station, this 3-star residence offers a 24-hour reception with luggage storage. You can walk to Place de la République and Père Lachaise Cemetery in 10 minutes. The studios and apartments at Citadines République Paris are decorated in neutral tones and feature flat-screen TV, safe and telephone. Each one also has internet access and a private bathroom, complete with a bathtub and a hairdryer. The residence offers buffet and continental breakfast with jams, eggs, cheese and pastries every morning in the breakfast room. You can also prepare meals in your kitchenette, which is equipped with hot-plates and a microwave. Free newspapers, free internet access and a business center are available on site. Sights such as the Paris Stock Exchange and the Arts et Métiers Museum can be accessed directly using public transport and lines 3, 5 and 9 of the Metro are all within a walking distance. 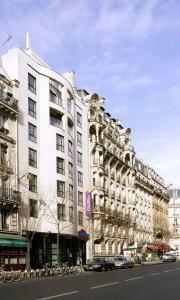 뀐 Located in the top-rated area in Paris, this property has an excellent location score of 8.4! 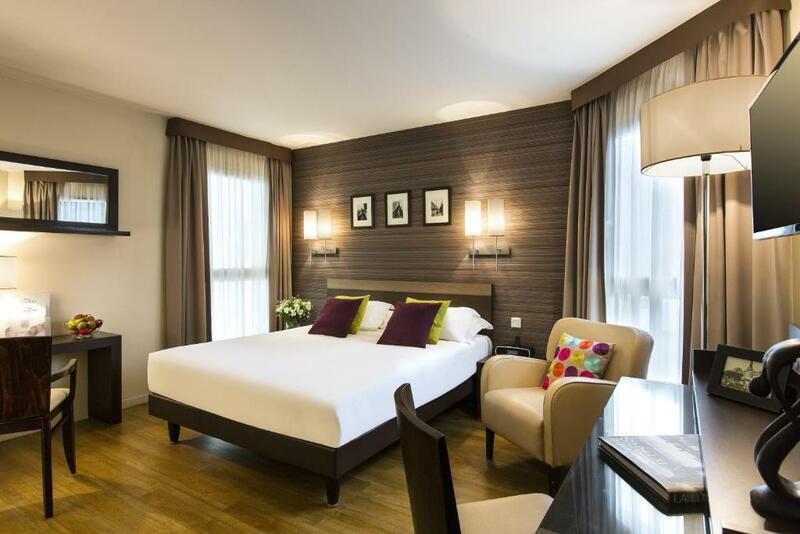 When would you like to stay at Citadines République Paris? Decorated in neutral tones, the accommodations have a kitchenette with hotplates, a dishwasher and a microwave. 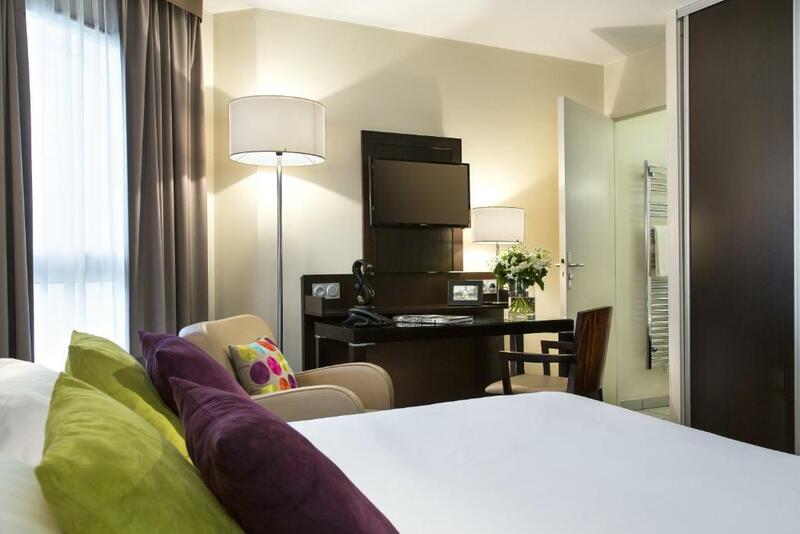 Free internet access and a living area with a flat-screen TV are provided. The private bathroom comes equipped with a bathtub and a hairdryer. Decorated in neutral tones, the accommodations include 1 bedroom and a living area. It features a kitchenette with hotplates, a dishwasher and a microwave. 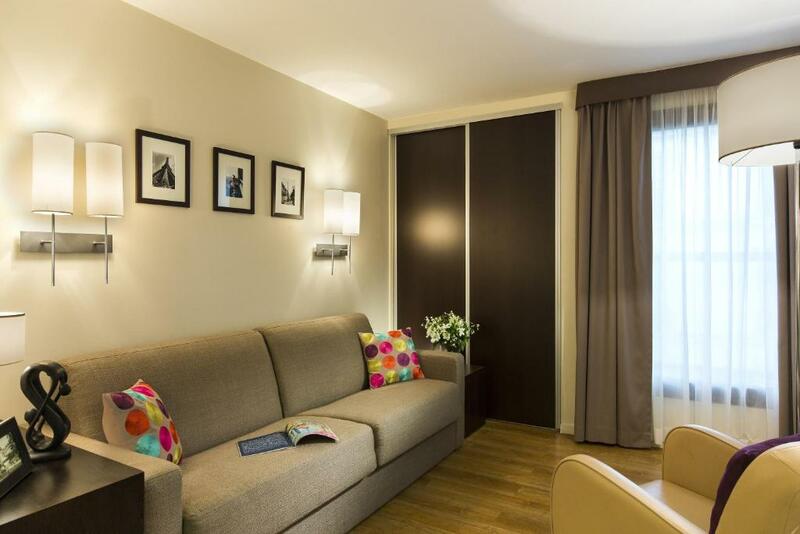 The living area comes equipped with free internet access and a flat-screen TV. The private bathroom has a bathtub and a hairdryer. 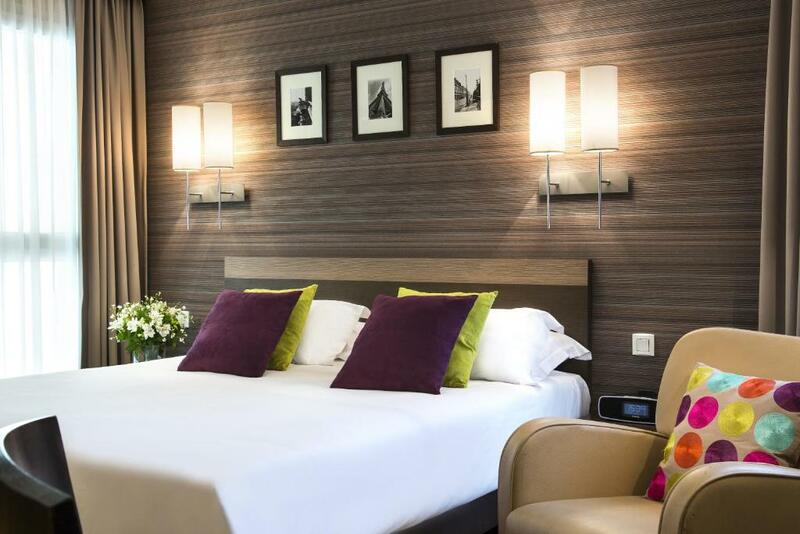 Close to the very trendy Rue Oberkampf, your Apart Hotel opens its doors to you 24/7 to make your stay in Paris as enjoyable as possible, whether you are on a brief professional trip or taking a long holiday. 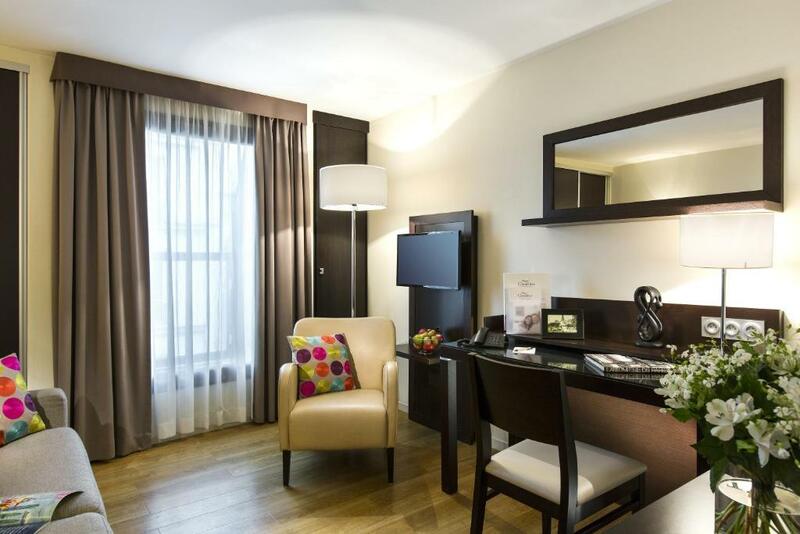 Combining designer style and practicality, spacious and comfortable, your serviced apartments hotel will be the ideal home base during your stay. And, during the sunny season, you will appreciate its terrace and view of the capital. 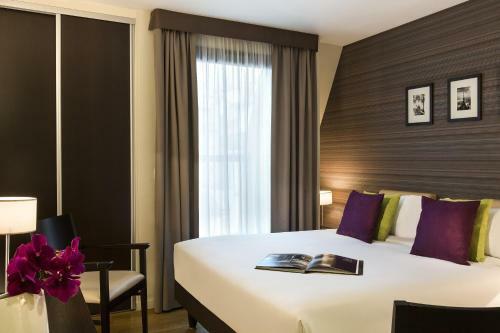 Whether for one or two people staying in a studio, or three or four in a two-room serviced apartment, Apart’hotel Citadines République Paris aims to ensure that you feel completely at home. You’ll find fully equipped kitchens, complementary Internet access, and more. It's a very lively quarter. Plenty of bars and restaurants. This is the best place to discover the real parisian life. House Rules Citadines République Paris takes special requests – add in the next step! 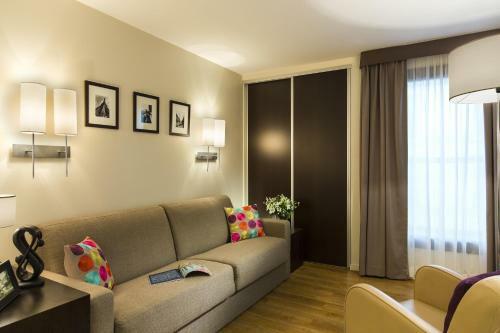 Citadines République Paris accepts these cards and reserves the right to temporarily hold an amount prior to arrival. Please note that baby cots are subject to availability and have to be confirmed by the property. Check in - room wasn’t available until 5pm despite check in being 3pm. No apology and staff were very slow during check-in. No baby high chair available for the room Needs moderinisatipm soon. interior is a bit used so u already see that a lot of people is renting the place.however is still good place for a stay. Location was convenient and close to transport however a bit far from all touristy areas. There was not many restaurants and cafes nearby either. The room was a good size compare to what we have heard about accommodation size in Paris. We could fit in a baby cot in the room and there was still enough room. Daily cleaning service is available but come at a cost so you have to take your garbage out and clean the dishes, from this point hotel is much more convenient. Overall good stay. A well allocated room with modern facilities. Bathroom slightly worn as was was some of the furniture. Location, customer service and space. I found that I had to wait a bit for my bath (more hot water? ), so instead of late afternoon/early evening, I took it late at night. It wasn't a major drama - I just re-arranged my other activities and luckily had no work the next day, so could stay up later than normal. Maybe I didn't scout around enough, but I didn't see a small supermarket or many restaurants in the immediate area. Even though I live near Paris, I don't have a bath and was in need of a good soak. My beloved was already busy, so I took the opportunity to have a night to myself! 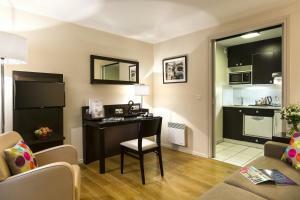 The appart-hotel is in a good location, not far from many of the main sights and areas of Paris. It is very clean, comfortable and the staff were friendly and helpful (esp. the blond woman on the morning reception - Anne/Anna?). My quiet room was exactly that. I didn't use the kitchen much, but it had everything I needed to cook or heat up a good meal and make a cuppa. I liked that the toilet was separate to the bathroom. The room was a great space, nicely decorated and warm. The bed was very comfortable. Breakfast was a simple, tasty buffet style. I would use them again. nothing to make coffee in the rooms. potentially noisy if you are on the main road and very stuffy rooms even in February. good sized rooms. nicely set out. very helpful staff. soap and shampoo provided.